Beauty can emerge through the most difficult times. One of the most beautiful and respected Brazilian songs, Águas de Março (Waters of March), came to life during a tortuous time in the life of Jobim. In 1988 Tom Jobim gave an interview in which he confessed experiencing turmoiling emotional waters which gave origin to this classic. 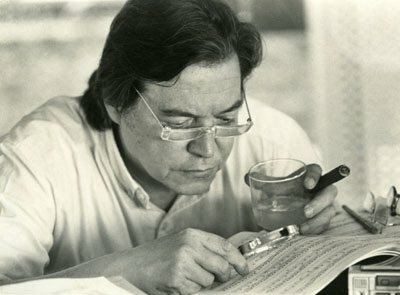 In the late 80s Jobim, one of the main composers of Bossa Nova, was almost forgotten by Brazilian mainstream listeners and this led him to feel unappreciated and lonely. He felt he was lacking purpose in life. Afraid of ostracism and resentfull that people were not listening to his albums, he feared that we would end his life singing Girl from Ipanema (another of his greatest hits) in a small town circus being booed by the audience. Março (Waters of March). The song was officially released in a EP in 1972 and has become known worldwide through different language versions recorded by various artists. In 2001 it was elected the best Brazilian song ever by more than 200 journalists and musicians in a poll conducted by the respected Brazilian newspaper Folha de S. Paulo. The title Waters of March refers to the rains that usually fall in March in Rio de Janeiro (Brazil) delineating the end of the summer season. Both Portuguese and English lyrics were written by Jobim and have a stream of consciousness feel. They are very imaginative and can offer a sense of the flow of life. As if lying on the couch in an analysis session, Jobim allowed free association in creating the song and this saved him thousands in psychoanalysis bills, as he once said. Enjoy this definite version of Águas de Março with Elis Regina & Tom Jobim. This entry was posted in Bossa Nova, Brazilian Music, Healing Potential of Music, Transformative Musical Experience and tagged "bossa", "Elis Regina", "girl from ipanema", "www.josehgarcia.com", analysis, Águas de Março, Best Brazilian song ever, bossa nova, Elis & Tom, Folha, Folha de S. Paulo, free association, Jobim, Joseh Garcia, MPB, music as therapy, music therapy, musicmaking as therapy, Pasquim, psychoanalysis, psychoanalysis and music, songwriting as therapy, stream of consciousness, Tom & Elis, Tom Jobim, Waters of March. Bookmark the permalink. Great video. I’ve listened to that song many times, but never watched them sing it. I second that the English translation of the lyrics is worth checking out, and not easy to memorize. I saw Cassandra Wilson perform it once, but she forgot some of the lyrics midway through it.